In my practice I focus on treating muscles and joints. However, I also have a keen interest in general health too. This is a short series of 5 blog posts about important information on recent breakthroughs in Alzheimer’s disease. This is information that may be of most interest to older readers, however younger readers ought to take note, because it may be of importance to older members of their family, or indeed themselves in a few years time. 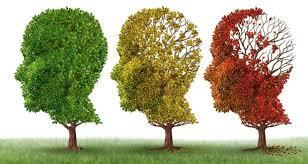 Dementia/Alzheimer’s disease is an epidemic on our health horizon. The World Health Organisation forecasts that the number of people with dementia will triple in the next 30 years. Research commentary strongly suggests that this is an epidemic that nations simply aren’t prepared for. What’s causing this to become an epidemic? In simple terms, people are living longer, and as we get older, there is an increasing risk of dementia with age. After the age of 65, the risk of developing dementia doubles every 5 years. By the age of 80, it is estimated that 50% of people suffer from memory issues (to a greater or lesser extent). On a side note, many people get confused about the difference between dementia and Alzheimer’s disease. Dementia is an umbrella term, used to describe any condition where memory becomes impaired. Alzheimer’s disease comes under this umbrella term of dementia, and represents about 60% of dementia cases. Current medical approaches used in treating Alzheimer’s disease suffer from low effectiveness, and also incur significant side effects. Given the situation, there is an urgent need for preventative approaches. However, there is some very good news on the horizon. Research conducted in a number of hospitals and universities around the world has shown excellent promise in the use of 3 natural foods/supplements in the prevention and treatment of Alzheimer’s disease. Some of this research even demonstrates a partial reversal of Alzheimer’s disease. These are foods that are readily available to you in your local supermarket, or in supplement form in your local health food shop. This research has been published in reputed medical journals, meaning that the findings can be relied upon, and are not just hearsay. In the next blog post, I’ll go through the findings from research from the University of California, Los Angeles (UCLA) Department of Medicine. They found that the first food/supplement is a strong candidate for the use in the primary prevention of Alzheimer’s disease. The researchers also outlined how this food had a positive effect on the human brain. In the third blog post, you will read about the results of the treatment of Alzheimer’s disease in three patients in a hospital in Japan. All three of the patients improved. Two patients, who couldn’t recognise their own family, started to recognise their family members again. The third patient had a 25% improvement in memory function score. In the fourth blog post, you will read about the results from a third food, that also yielded improvements in Alzheimer’s disease patients. Interestingly, the researchers found that women, and patients with the most severe Alzheimer’s disease, got the best improvements in their memory function scores with this food. This piece of research was carried out in a university in Spain. The fifth blog post ties it all together, and offers advice on how best to take the three foods, or how to take them in supplement form if you so choose.